Every year we buy a pumpkin carving kit to use and every year we have these strange shapes left over that we never use and are not sure what they are even used for!? 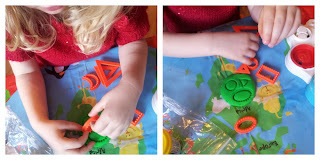 So we decided to make these little plastic shapes into some crafty fun and our first way was with play dough. I decided to let Lil A have some free play with them with the play dough and see what happened and allow her to explore different shape combinations, impressions and textures. The ridges on the shapes made some great impressions in the dough and she had lots of fun making all the shapes without having to actually cut any shapes out of the dough. We then talked about and named the different shapes and talked about the different sizes and how all the triangles fitted together because of their graduating sizes of small, medium and large. 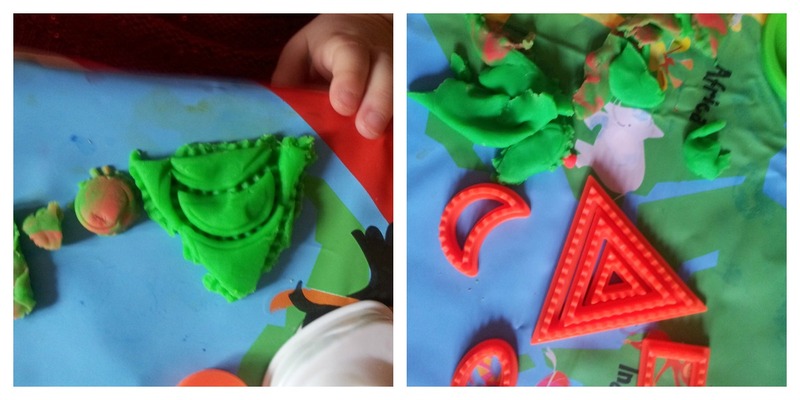 She also enjoying fitting different shapes inside each other and making impressions of them. 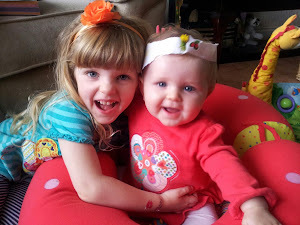 Overall she had great creative fun and it's a great way to recycle something that would normally have gone in the bin. 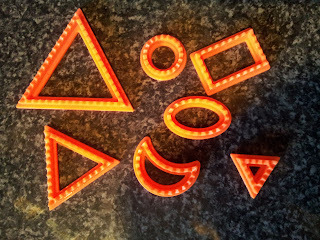 Now to find another project for these cute little shapes and stretch out the Halloween fun! The best thing to spend on your child is not your money but your time. Simple, quick and easy fun that isn't watching the TV!